​Colour back glass is a fantastic eye catching feature of today's ultra modern kitchen. Nothing looks more high-end or stylish than a glass splash-back. Large panels with minimal to no joins, make for a trendy, easy to clean finish. Simple to care for, will not stain and made with tempered glass for added safety. Coloured glass also looks great as a focal point of any bathroom for a unique and contemporary look, or make a bold statement using colour back glass in place of shower tiles. The transformation is quite dramatic, and the possibilities endless. ​Glass railings can be quite a stunning add-on to any home. Whether it be a highlight in your house to create an open concept and spacious feel, or for amazing unobstructed views, railing glass is growing in popularity for good reason. Unlike hardwood railing materials, glass is not vulnerable to surface cracking, while tempered panels are safe and sturdy. Customizable to suit individual tastes and needs, and very low maintenance, glass railings offer the perfect solution to any design. ​Skylights provide a relaxing ambiance, adding to the aesthetic appeal of your home. While providing incredible views, skylights have many benefits including cost savings on electricity and heat, health benefits of increased natural light in our environment, as well as design benefits. Glass canopies are a great way to improve the look and functionality of your home while creating a usable space year round. A quality glass canopy will withstand elements better and have a longer lifespan than those made from cloth. ​Glass doors can transform a room while adding a focal point as a design feature in themselves. 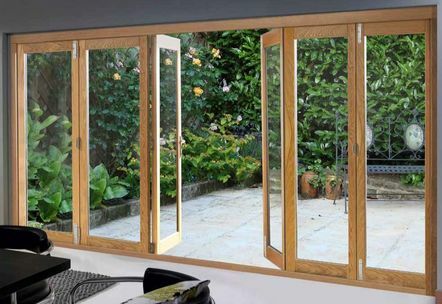 They expand your homes living space, let in natural light, provide a view onto the outdoors creating a smooth transition between the interior and exterior, and increase the sense of space even when the doors are closed. Glass doors can also be a great way to create a division/connection between two rooms making your home more functional. They are versatile and can have custom security locks built in, as well as easily changeable hardware to better match current interior and exterior fixtures, all while adding value to your home.